The mission of the SOM is to cultivate our students to become ethical and knowledgeable management professionals with global mobility and teamwork spirit through experiential learning environment that integrates quality research, excellent teaching and service to the industries. The SOM encourages students to take part in master thesis competitions. In 2017, the SOM had a total of 10 award counts in the Fubon Master Thesis Award Competition and the Topco Thesis Competition. This result placed SOM in number one among all schools related to the field of business in all universities. The TOPCO Co. and Fubon Financial Holding recruit from among the award winners. This has a great impact on students’ career planning. In order to improve student self-direct learning ability and campus learning environment, Ming Chuan University actively encourages the undergraduate students to apply for the MOST Student Project Award granted by Ministry of Science and Technology of Taiwan Government. A Taiwan publication, Cheers magazine, conducted a survey to rank “Favored University Graduates” chosen by 2000 established Taiwanese companies. The ranking is calculated based on eight classifications and indicators. 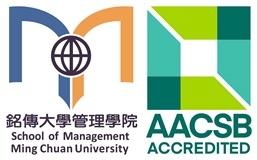 Currently, among Taiwan’s 141 universities/colleges, Ming Chuan University has been consistently ranked in the top 20 of favored university graduates among established Taiwanese companies. The SOM is one of the major contributors to this success.